"Its all got have a lot use, still cant full up although can hold lots?" "Nice size an feels solid. Does the job." "Works as expected, using for Windows recovery key." 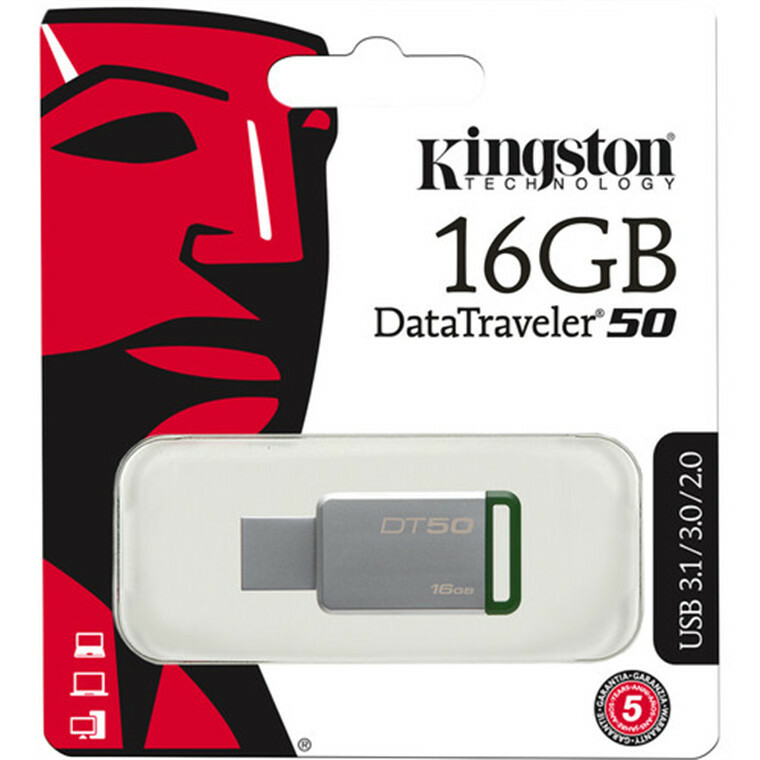 Store and take your files with you on the go using the 16GB Datatraveler DT50 USB 3.0 Flash Drive from Kingston. It can store up to 16GB of data, and has read and write speeds of up to 30 MB/s and 5 MB/s respectively. 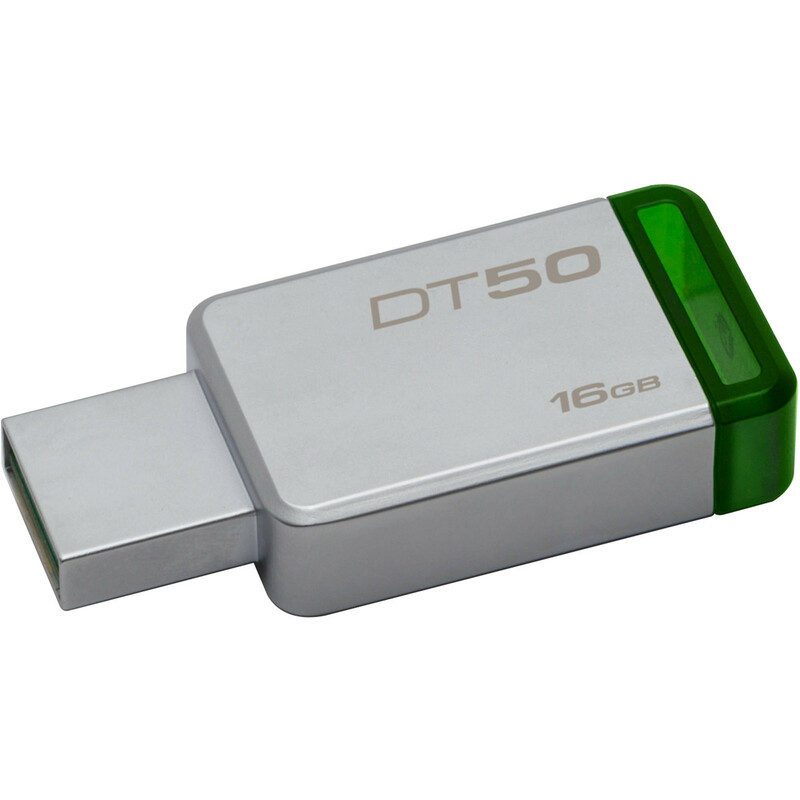 The USB 3.0 standard enables backwards compatibility with USB 2.0 ports and supports data transfer rates of up to 5 Gb/s. Furthermore, it's compact, lightweight, and has a cap-less design with a metal casing. Its all got have a lot use, still cant full up although can hold lots?Its all got have a lot use, still cant full up although can hold lots? Nice size an feels solid. Does the job.Nice size an feels solid. Does the job. Works as expected, using for Windows recovery key.Works as expected, using for Windows recovery key. I purchased this on clearance. It is a quality brand and works fine.I purchased this on clearance. It is a quality brand and works fine. It cheap and worked well for what I needed it for!It cheap and worked well for what I needed it for! Normally: $6.90 Normally: $7.94 $5.90 ex. $6.78 inc.